Mitchell Weisberg is the Managing Director of Lumen Solutions, Inc. and a Faculty member of Northeastern University and SKEMA French Business School. He has over 30 years of leadership and advising executives on Strategic Planning and Execution for High Business Performance and on the Balanced Scorecard. Mr. Weisberg has led organizations in the private and public sectors to achieve greater performance and profitability through implementation of performance management and measures with Balanced Scorecard, process improvement, IT/business alignment, and change management. He has broad cross-industry and extensive international experience. Mr. Weisberg was the Director of International Business at the Balanced Scorecard Institute and previously Global Practice Leader for Business Performance Management Services at HP (Hewlett Packard) and Group Director of Strategic Planning at Motorola. He led global consulting practices at Arthur D. Little and Nolan, Norton/KPMG, Towers/Watson, and was Managing Director of Corporate Performance Management at Robbins-Gioia. 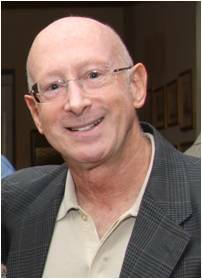 Mr. Weisberg was a member of the team that developed the Balanced Scorecard with Drs. Norton and Kaplan. He has customized and implemented balanced scorecard methodology and trained practitioners in delivering high performance worldwide. Mr. Weisberg has advised organizations in responding with business transformation and innovation to the major disruptions in their industries over the past 3 decades. Mr. Weisberg was founder/CEO of a supply chain software company. Mr. Weisberg leads engagements globally and across industries, including: Healthcare, Government, Energy, Oil/Gas, Communications, Financial Services, Education, etc. His clients were addressing strategic challenges including: need for greater alignment, the new or disruptive technology, new regulation, performance measurement, new business models, and change in their markets. The engagements addressed: strategic planning, organizational strategy execution, performance measurement/management, process improvement, policy implementation, individual and organizational capabilities, change management, and government services. He has worked with clients and taught courses worldwide and worked with partners in the US and globally, including South America, Asia, Africa, Europe, and Middle East. Mr. Weisberg is on the Advisory Board of the IBM Innovation Center for Performance Management and an Industry Scholar at the Cornell University Institute for Healthy Futures. He was a Fellow of the Sawyer Business School (Suffolk University) Center for Innovation and Change Leadership and a Lecturer in the Department of Strategy and International Business. He also teaches courses in Public Health, Health Informatics at University of Massachusetts, and Management Strategy in Healthcare at Northeastern University and in Corporate Governance at SKEMA Business School. Mr. Weisberg is a recognized speaker on Strategy Execution, Organizational Alignment, and Transformation at international conferences; he has published books and numerous articles in professional journals. Mr. Weisberg received his B.S. from Cornell University in Mechanical and Biomedical Engineering and his M.S. from University of North Carolina, School of Public Health in Organizational Change and Applied Behavioral Science. He has completed graduate work in medicine at the University of Virginia and the Advanced Marketing Management Executive Program (AMMP) at the Wharton Business School (University of Pennsylvania). He is certified in Organizational Development (National Training Laboratories – NTL), Online Teaching (Northeastern University), and is a Senior Balanced Scorecard Master Professional (George Washington University). He is fluent in Spanish and French.